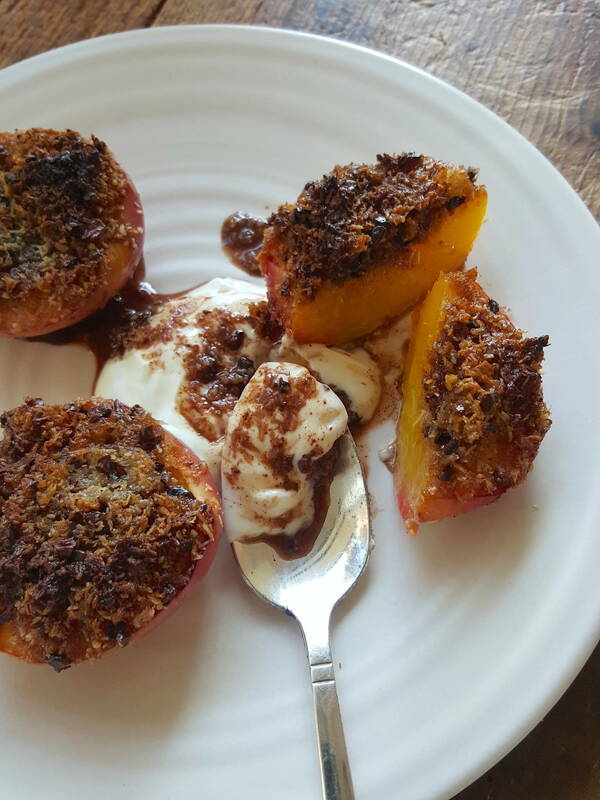 Here's a great way to bake fruit with coconut and cacao nibs. 1 Preheat oven to 180°C (350°F). In a bowl mix coconut, coconut sugar, cocoa nibs or cocoa powder, lemon zest, cinnamon and nutmeg. 2 Cut fruit in half through their natural indentations, then pull apart and extract stones. Transfer to a shallow baking dish lined with baking (parchment) paper, cut side up. 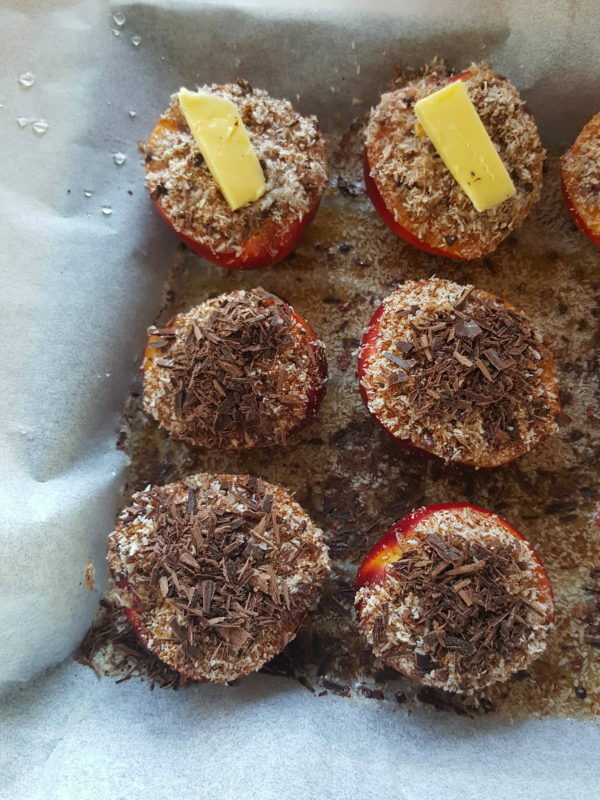 Put a teaspoonful of coconut mixture in the cavity of each piece of fruit. Top with a small pat of butter or a little grated chocolate. Spoon wine over the top of the fruit. 3 Bake for 20-30 minutes or until the top is crisp and the fruit tender. This salad has a nice hot punch .. if it's too hot for you, add a puddle of yoghurt on top. And serve a tangy tomato, cucumber, coriander and lemon salad alongside.